The first skill on Roat Pkz has finally been released, it's very good. This is also without a doubt one of the best and most fun money making methods in-game. It introduces a lot of new items and bosses, I'll list all the features below. 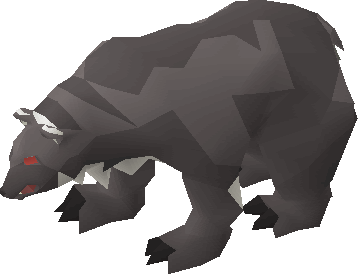 Roat Pkz Slayer has 5X XP rates from OSRS. 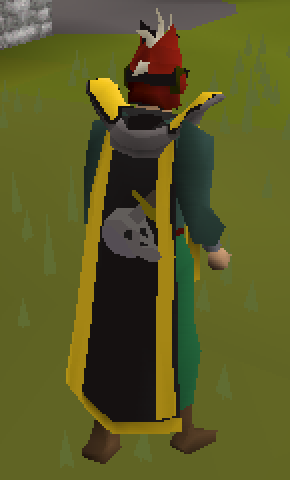 To start training Slayer, please talk to the Slayer Master at ::slayer! 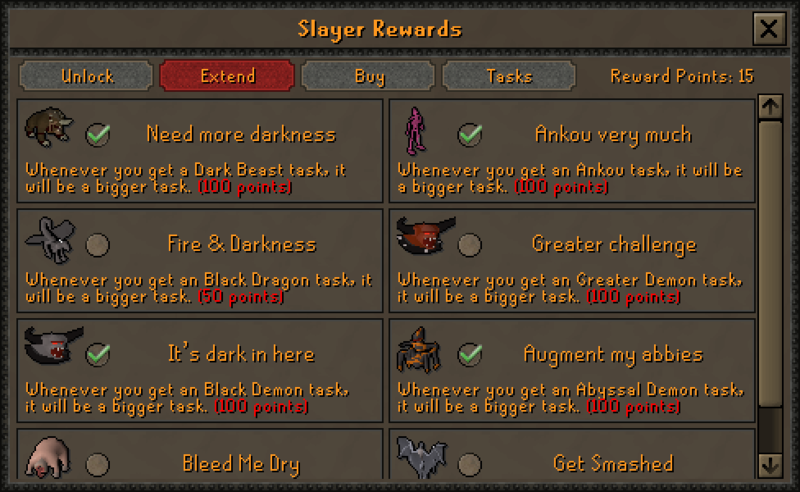 The main interface is pretty straight forward, you can purchase a few unlocks or extend your Slayer tasks there, you can also block or cancel a task for a few Slayer Points. It's identical to OSRS. You can purchase multiple items from the Slayer Shop. 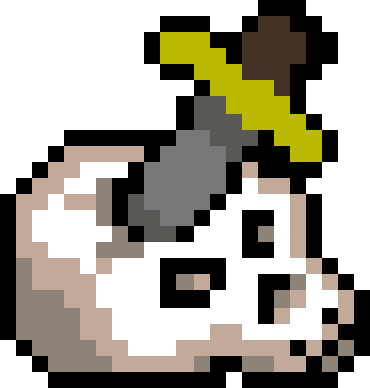 Finally Slayer Helms + Imbued heart! 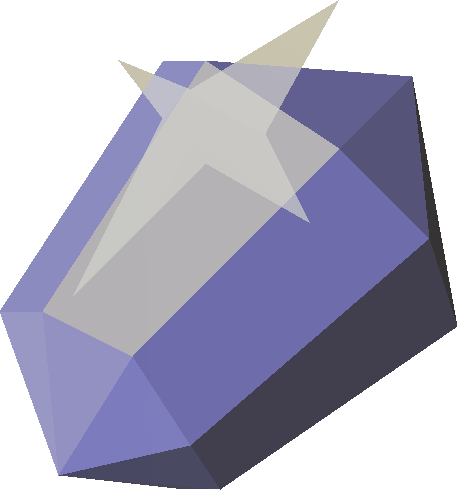 The enchanted gem is a vital tool for Slayer, with it you can view your current task and teleport to your task. You can also request a Slayer partner through it, along with viewing your monster kill counts & fight times. The salve amulet raises the wearer's Attack and Strength by 15% while attacking undead monsters. It works on Revenants, Ankou, Skeletons and Skeleton Hellhounds. 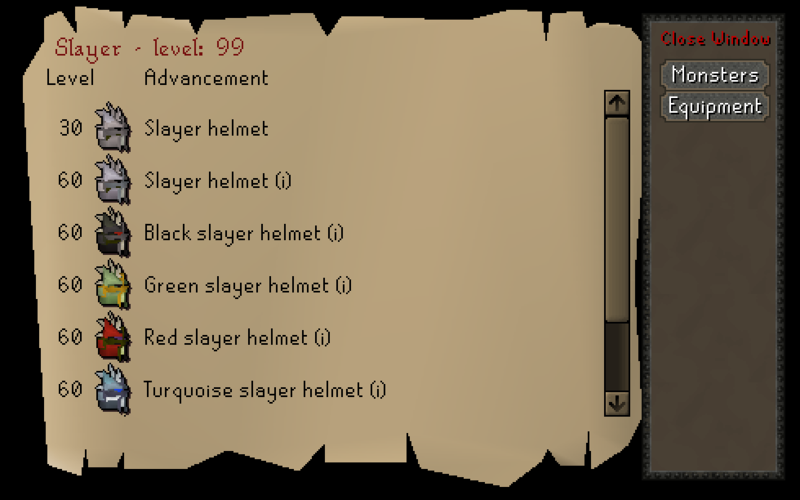 The Slayer Helmet requires a Slayer level of 30 to wear, while the imbued ones require level 60 (all colored ones are imbued). They're all tradeable and only found in the Slayer Shop. 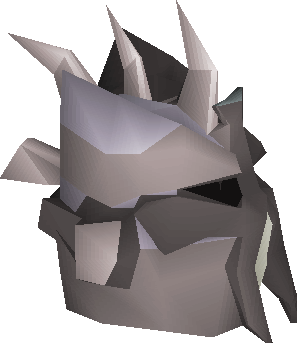 The Slayer helm provides a melee boost of 16.67 against your Slayer Task. 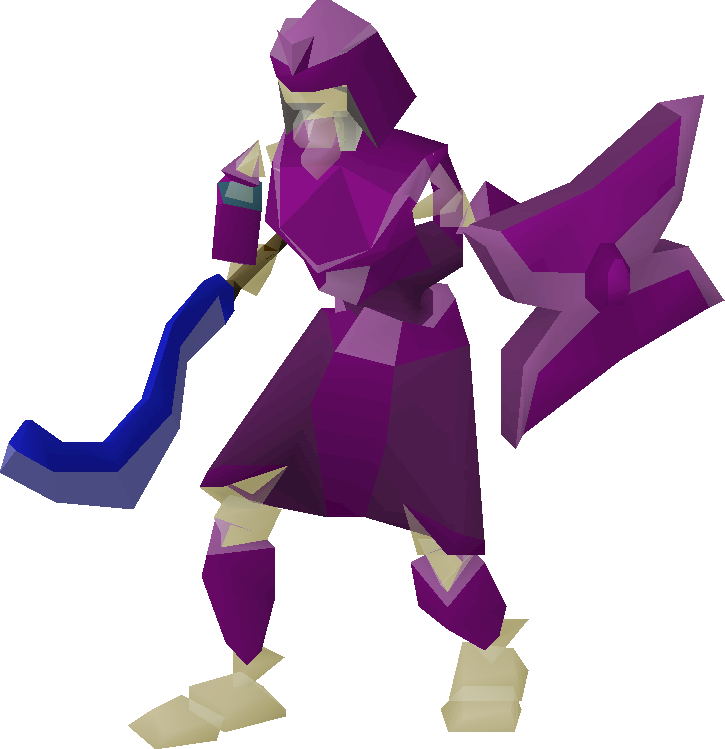 The imbued ones provides an extra 15% boost to Ranged accuracy and Ranged damage, and a 15% boost to Magic accuracy and Magic damage. 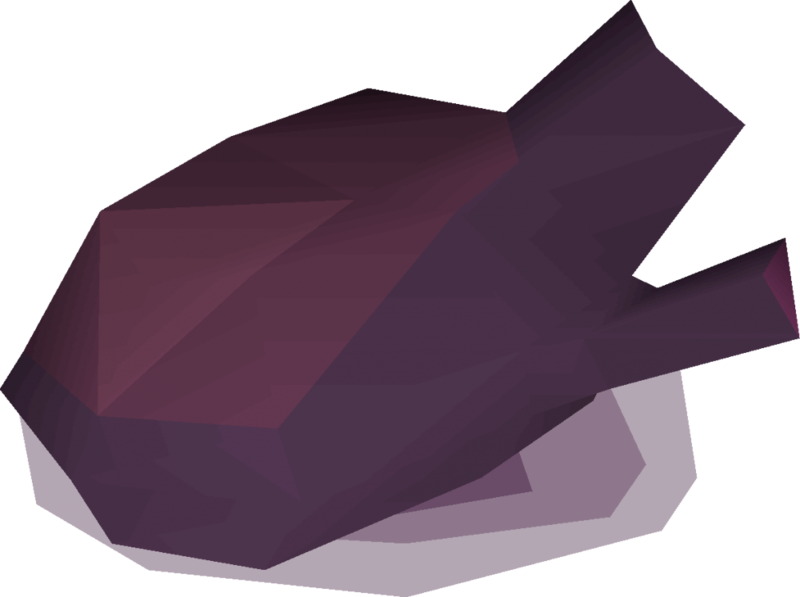 The imbued heart is a magic-boosting item, the heart to temporarily increase your Magic level by 2 to 10 levels (1 + 10% of the your level, rounded down). It can be activated an infinite number of times, but it can only be activated once every seven minutes, regardless of how many imbued hearts you own. 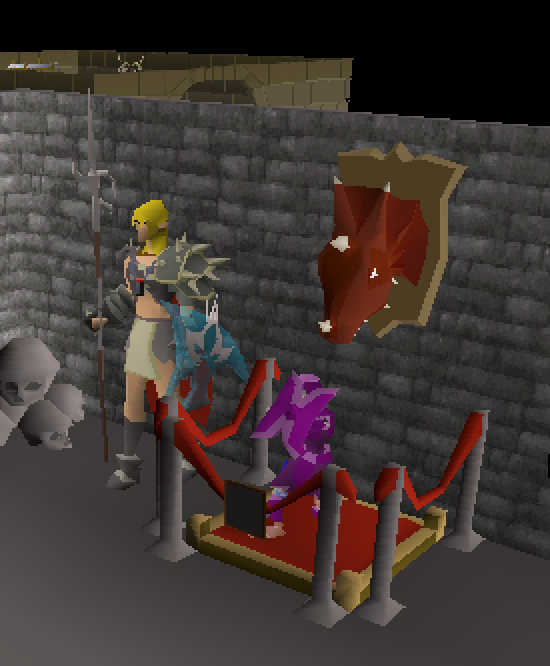 Using the Enchanted Gem you can request a Slayer Partner. 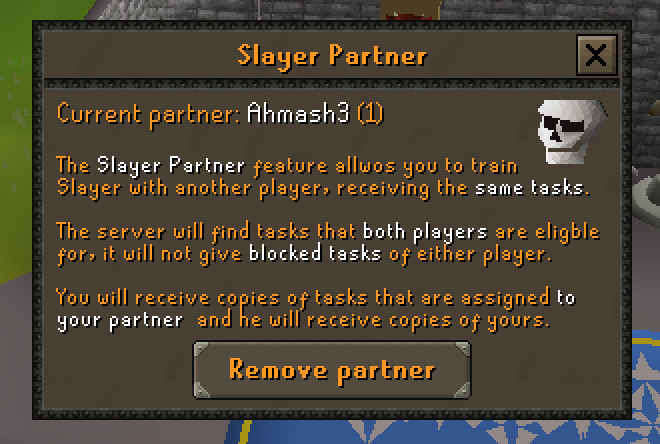 When you have a Slayer partner all the tasks assigned to you will also be assigned to your partner, this is a great tool to train Slayer with your friends. I HIGHLY RECOMMEND USING IT! 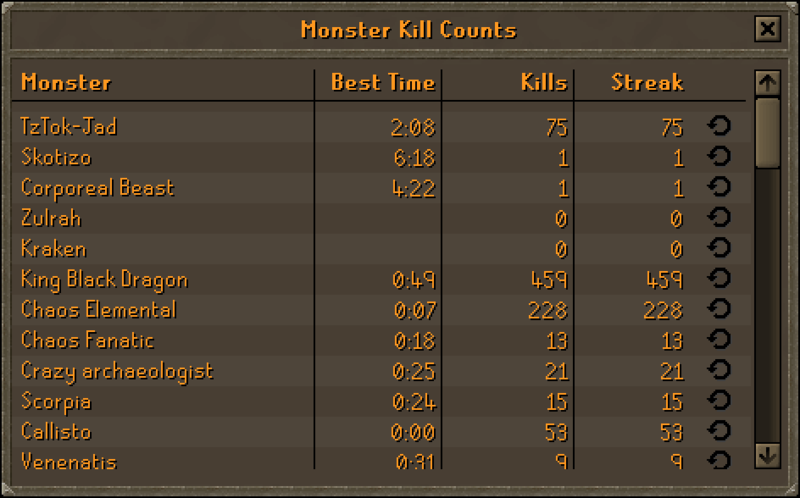 There's now a new monster Kill Count interface in-game, you can now see your best fight time, total kills, and start counting your current kill streak on a specific monster. (it also highlights your slayer task). Found at ::npckills. Callisto is an enormous bear that resides south of the Demonic Ruins, and is the only monster to drop the tyrannical ring. He attacks using melee. He can knock players back a few tiles. He is also able to perform a deadly shockwave attack that can hit up to 60. Callisto also drops a Callisto Cub (PET)- First Pet drop gets Extreme Mystery Box! Vet'ion is a skeletal champion that resides north of the Bone Yard and south of Lava Dragon Isle, and he is the only monster to drop the ring of the gods. Vet'ion has two forms: the (purple) regular form and the (orange) reborn form. After he is defeated in his first form, he will go to his second form. He's a very tough monster, GL with it! Vetion also drops a Vet'ion Jr (PET)- First Pet drop gets Extreme Mystery Box! 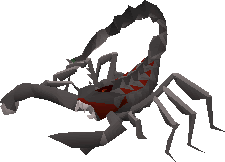 Scorpia is a large female scorpion that resides in a cave beneath the Scorpion Pit. She is a powerful scorpion that has offsprings that will heal her once her health is below 50%. Scorpia also drops a Scorpia's Offspring (PET) - First Pet drop gets Extreme Mystery Box! Venenatis is a large poison spider that resides east of the Bone Yard, and is the only monster to drop the treasonous ring. She uses multi-target Magic and long-ranged melee attacks. She is able to drain Prayer as well as perform a lethal stun attack that can hit up to 50 damage, and may combine it with another attack if the player does not have Protect from Magic active, which is capable of instantly killing the player. 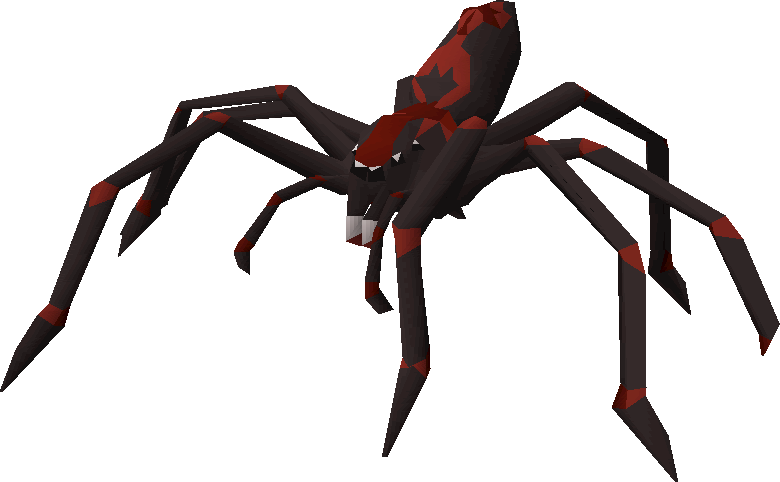 Venenatis also drops a Venenatis spiderling (PET) - First Pet drop gets Extreme Mystery Box! The Chaos Fanatic is an insane mage that resides west of the Lava Maze. He is surrounded by unattackable Miniature chaotic clouds, which serve as scenery. He has a special attack where he uses a green magical attack that explodes and can deal high damage, similar to the Crazy Archaeologist's explosive book attack. Bellock, the crazed archaeologist is an insane individual and demi-boss who resides in the ruins south of The Forgotten Cemetery. He uses Ranged and Melee attacks and can perform a special attack where he throws explosive books that explode in a 3x3 area. It is recommended to use Magic armour with the Trident of the seas while praying range and avoiding his special attack of explosive books as soon as he says, "Rain of knowledge!". Wall Shading and object shading has been improved a lot! You can toggle it in the Quest Tab -> Settings -> Shading. 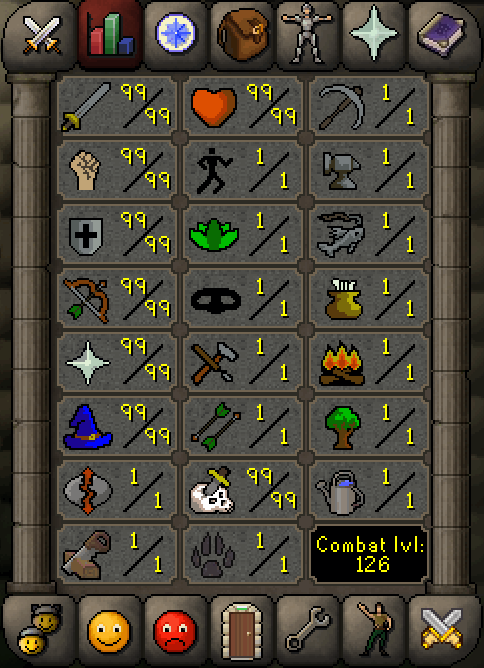 A brand new skill tab has been added in-game. It look identical to the OSRS one! 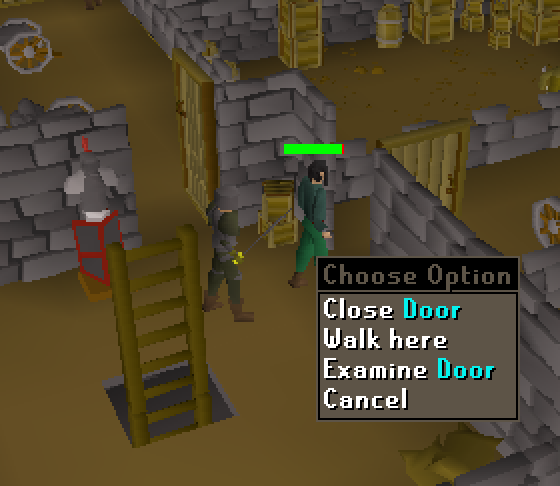 All doors in the wilderness and in-game now work great (and stall). Along with all stairs in the wilderness. You can also notice door objects from another height level change (NICE). Damage XP drops now show a 0 when you hit a zero. Fixed Arclight and Zamorokian spear attack speed! I hope you enjoy this update as much as I enjoyed making it! give me vote boxes or i no play. Yes, as in Slayer XP in RS = 1:1 based off NPC HP level. There's been a lot of updates over passed year I thought were pretty trash. This makes up for it completely. Server used to be pure "spawn" and it went away from that more and more. Now with this, it makes items besides the very top tier actually reasonable to get for new players/rebuilding. Blowpipe and anguish and all you can get a few k per hr. Rev task get me 5k+ an hour easy. Now, I'm usually against PVM in a PVP server, but it being wilderness slayer as the best source of PKP for a solo player makes it so it keeps player in the wilderness so it actually works out great. It could use some small changes, like some of the monsters need more spawns and such, and there could be some more high level slayer monsters in deep wild for risk. (Like maybe make demonic gorillas count for black demons) and such, but other than that its great. @Gretar When is the next update where it includes demonic gorilla's counting as black demon task, and more of bugfixes and such?